The moment I walked into the room, I saw my Marc Jacob's bag on the desk. I thought to myself "did they unpack my bags!? How is my purse here?". As I got closer, it turned out to be a life-size strawberry cream cake of my favorite Marc Jacobs bag! 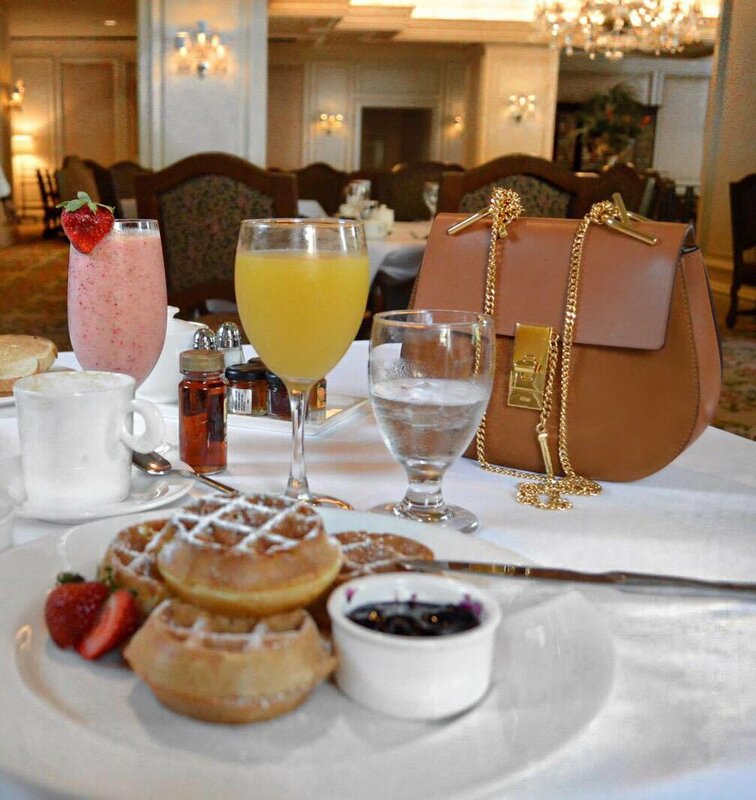 I was in awe of how accurate the chef was with the details of the bag (I guess I wear it quite often on Instagram!). Such a wonderful welcome! Situated in Downtown Clayton, I had the opportunity to stay at The Ritz Carlton - Saint Louis with my fiancé last month. I had never had a stay-cation in Saint Louis before this, so getting to know the city around me as a guest was such a memorable experience! I really enjoyed being able to checkout of everyday life and take some time to catch up on emails and blog work (with some amazing coffee). My favorite thing about the hotel was in the small details. The lobby always had fresh roses in various colors. 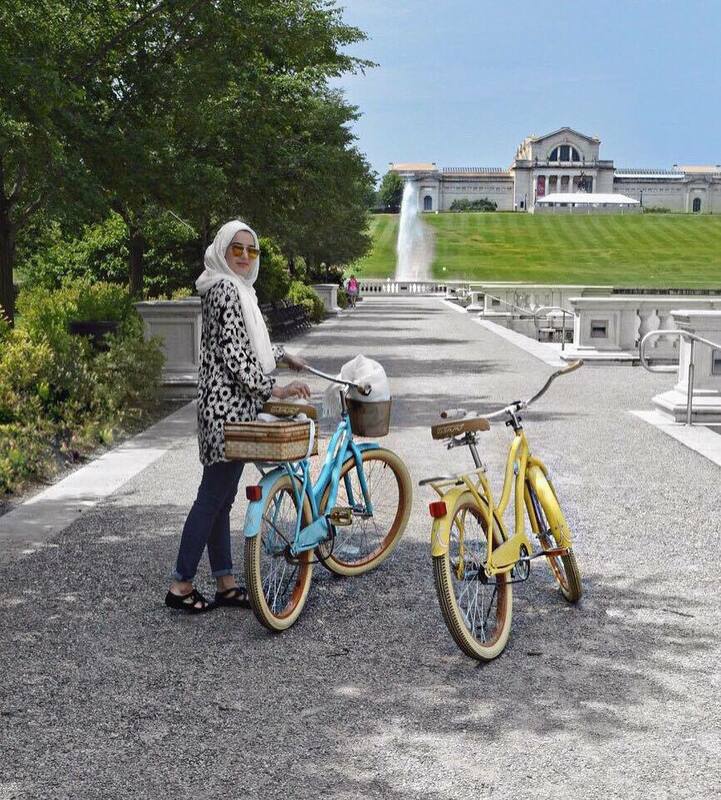 There were complimentarily colorful bikes outside to take to Forest Park (side note, the largest park in the USA!). Each room and floor level had Parisian-like balconies that overlooked different parts of Saint Louis. From the attentive staff to the white marble bathrooms to the spectacular view of Saint Louis outside my suite, The Ritz Carlton- Saint Louis was such a unique experience in the city I call home. In addition, The Ritz-Carlton-Saint Louis is home to a spectacular spa (that I highly recommend to anyone wanting to have a luxury Spa experience in STL!). Feel free to browse their menu here! As for dining options, I was told that The Restaurant was the #1 breakfast spot in Saint Louis (which I in fact confirmed after a delicious breakfast buffet). Best part, The Restaurant is open to the public (I will definitely be back with my family)! 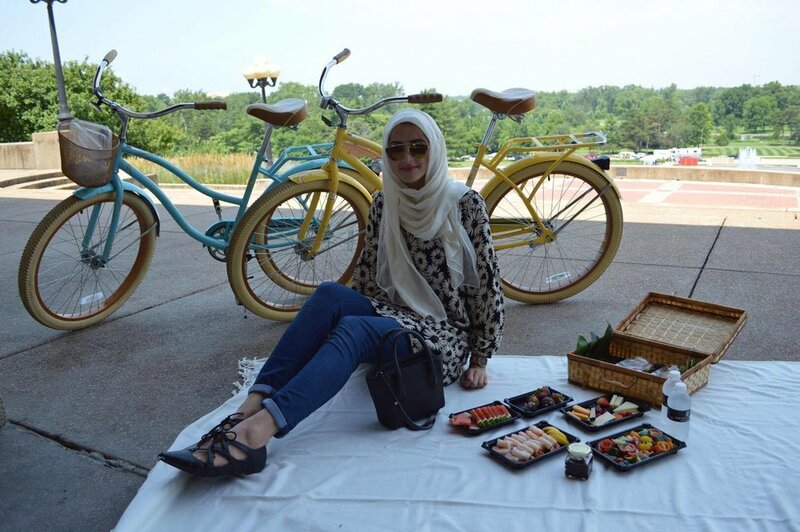 Since we were conveniently located by Forest Park, my fiancé and I took the colorful bikes down to Art Hill for a picnic. 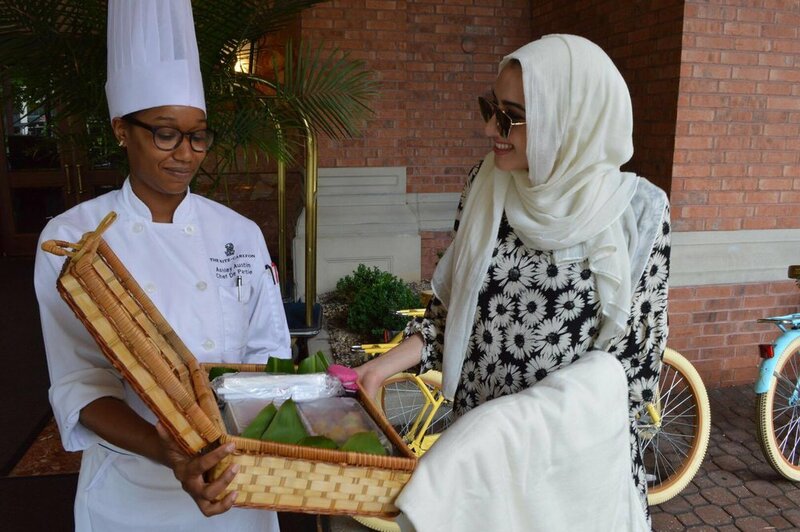 We were handed a delicious picnic basket, custom packed with cold shrimp, cheese & cracker assortments, watermelon, Mediterranean salads and more all by The Ritz Carlton's kitchen chef herself! I highly encourage asking the front desk about the Forest Park Picnic service next time you are in the area! Often times, people seek to travel out of their hometowns for summer vacation, but in reality, it's quite nice to explore your own city as a guest. So Saint Louis folk, next time you are seeking to checkout of everyday life, try experiencing a stay-cation and you might just make some wonderful memories in your own hometown. Thank you Ritz-Carlton Saint Louis for the amazing #RCMemories!